Bronwyn Elsmore is well known for her substantial body of non-fiction writing published over many years. In particular, her works on Maori Religious Movements are regarded and consulted as definitive sources in Aotearoa-New Zealand and internationally. The arrival of European missionaries in New Zealand had an immense impact on Maori society. 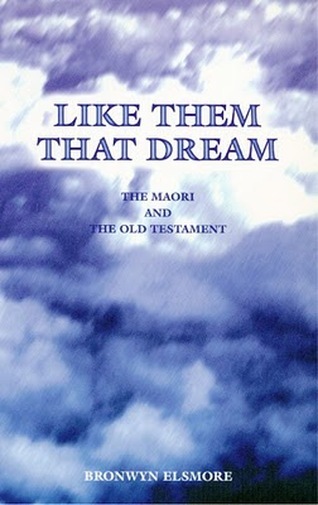 Like Them That Dream tells the intriguing story of early interaction between Maori and missionary, leading to the many distinctive responses to the arrival of Christianity. The book’s first two parts consider how the Christian word was spread and how Maori responded, explaining the identification they felt with the Israelites of the Old Testament. The third part relates the rise of indigenous religious movements, from the early Papahurihia through Pai Marire, Ringatu and the Parihaka Movement, and the later incarnations of the Arowhenua Movement in the South Island and what remains of today’s leading Maori church, Ratana. Like Them That Dream is now in its 3rd edition. In the period from 1820 to 1920, more than 60 prophets arose in New Zealand leading distinctive movements in response to the Christian message. Although many served as vehicles for social protest, their movements were primarily attempts to affirm spiritual and racial worth in the face of rapid cultural change. Mana From Heaven records the evolution of Maori spirituality from early contact to the end of the prophetic period. Regarded as the definitive work in its field, the book analyses the principal influences in Maori religious movements during the first century of European settlement and gives vivid portrayals of the individuals who shaped the Maori churches of today. ‘Its comprehensiveness is unlikely to be surpassed’ – New Zealand Journal of History. On the isolated Hawke’s Bay beach of Korito, near Wairoa, twelve huge totara logs bear testimony to the vision of a remarkable yet little-known religious leader. Matenga Tamati saw himself as the true successor to Te Kooti, answering the spiritual need of Maori at the end of the nineteenth century. The religious movement he founded, Te Kohititanga Marama, exerted great influence in the Wairoa district around the turn of the twentieth century – yet is all but forgotten. In this book Bronwyn Elsmore has gathered invaluable oral evidence to complement the scant published sources, piecing together a picture of the beliefs, values, practice and legacy of the Kohiti religion. While only the totara logs at Korito remain as physical evidence of this extraordinary prophet and healer, Te Kohititanga Marama ensures that Te Matenga and his religion of the New Moon take their rightful place in the histort of Aotearoa-New Zealand. Over her writing career, Bronwyn has a large number of shorter non-fiction works published. Testing the Global Ethic, Peggy Morgan and Marcus Braybrooke (eds), World Congress of Faiths/Conexus Press, Oxford, UK/Ada, MI, USA, 1998. 88 Full-page features for Newspapers in Education; and numerous others. Radio & television interviews on specialist subjects.